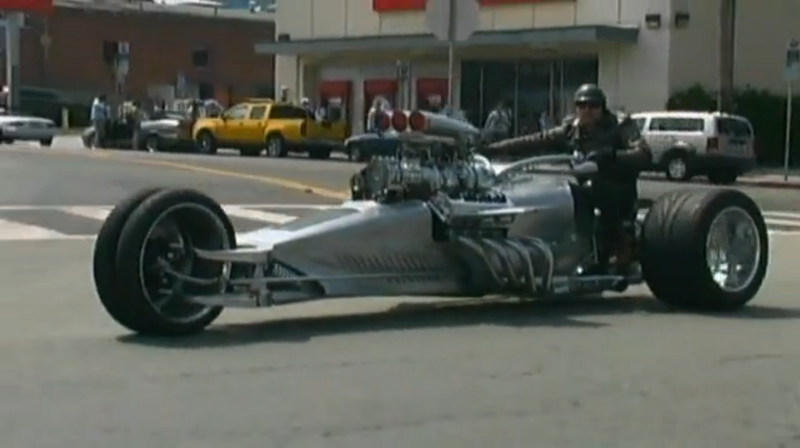 Frogman Rocket II — BORN Motor Co.
Powered by 1.000bhp supercharged V8 from a drag car, this near 1.300kg trike is said to be capable to reach 321km/h. Its owner, Tim Cotterrill, who commissioned the machine to his own design from the same company that made Jay Leno's tank car, has only mustered the balls to hit 257km/h though. Should he ever reach Vmax, there's a parachute on-board for extra braking.